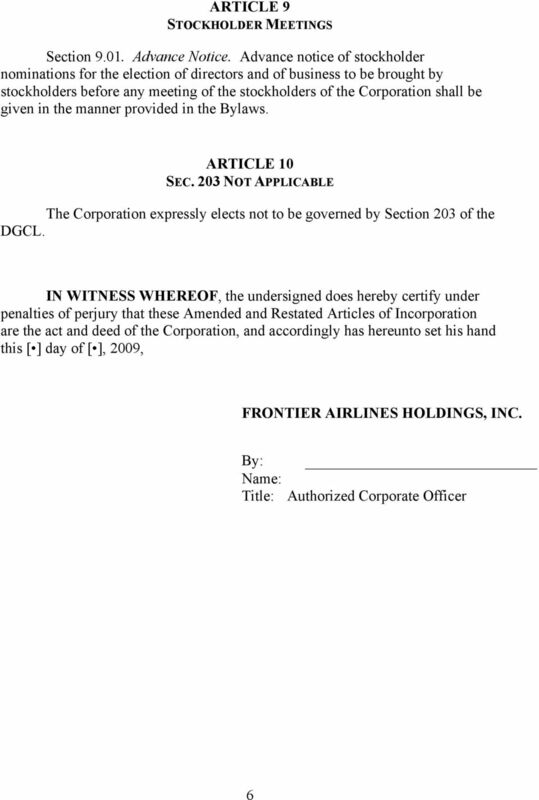 Download "NEW CERTIFICATE OF INCORPORATION REORGANIZED FRONTIER HOLDINGS"
CERTIFICATE OF INCORPORATION OF THE CHICAGO STOCK EXCHANGE, INC. 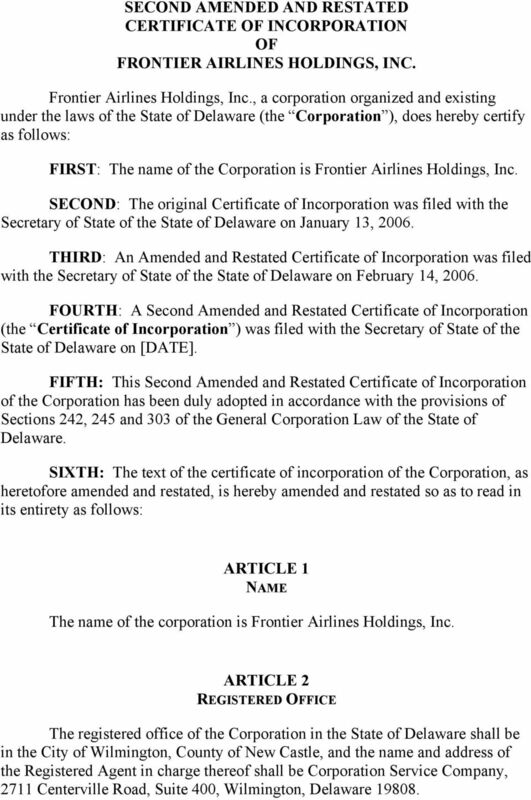 AMENDED AND RESTATED CERTIFICATE OF INCORPORATION CENTRUS ENERGY CORP.
FOURTH RESTATED CERTIFICATE OF INCORPORATION OF THE TJX COMPANIES, INC. (Originally incorporated on April 9, 1962 under the name Zayre Corp.
FOURTH RESTATED CERTIFICATE OF INCORPORATION OF THE TJX COMPANIES, INC. (Originally incorporated on April 9, 1962 under the name Zayre Corp.) FIRST: The name of this corporation is THE TJX COMPANIES, INC. 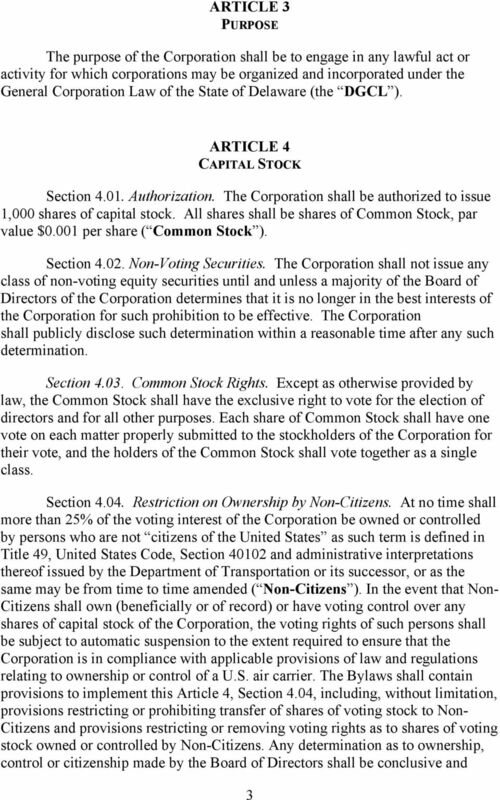 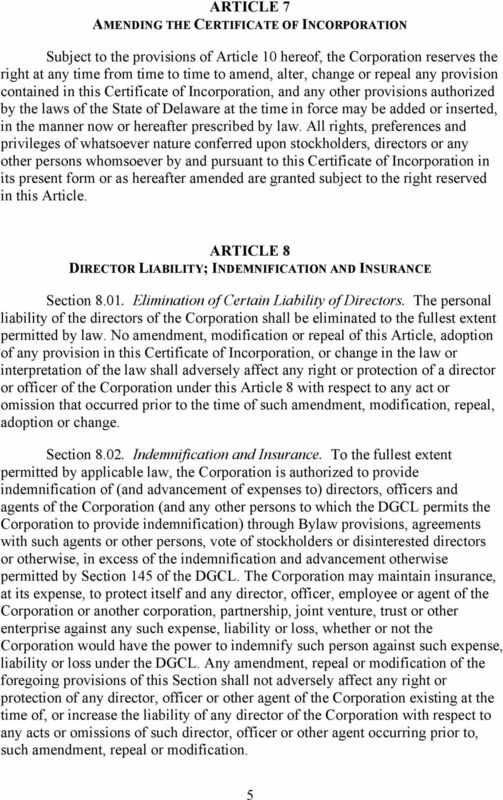 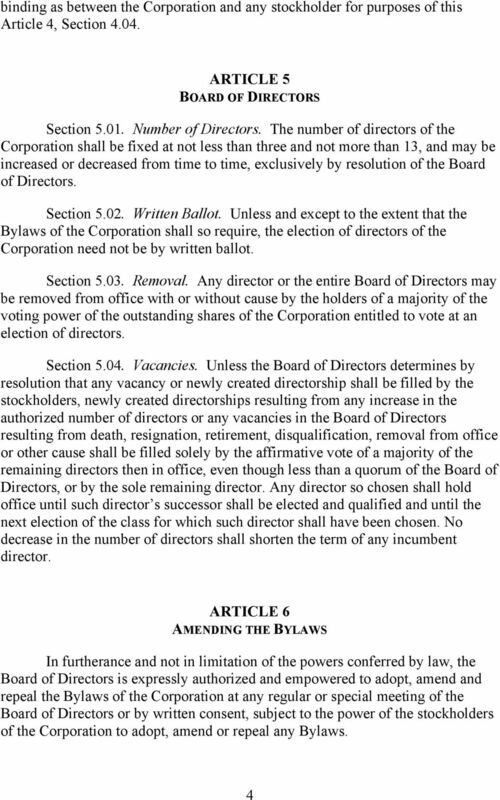 AMENDED AND RESTATED ARTICLES OF INCORPORATION TRIM NEVADA, INC.